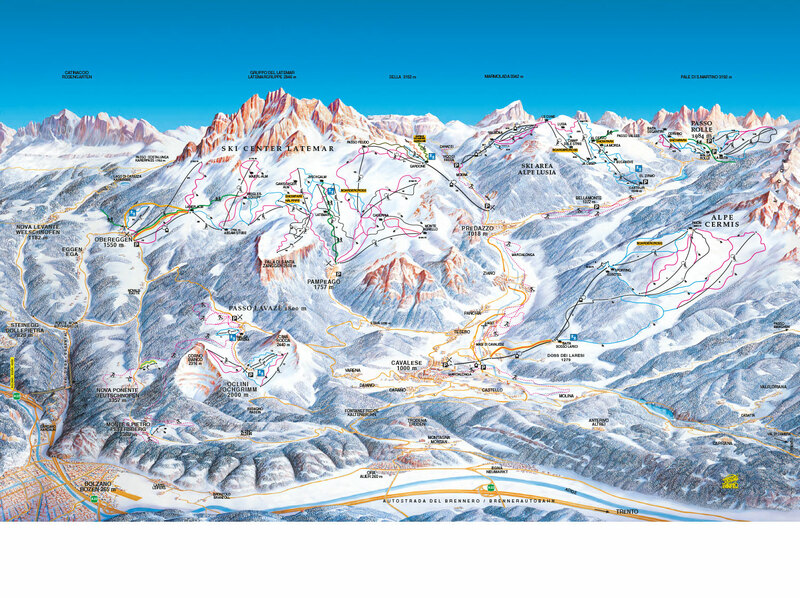 Obereggen – Ski Center Latemar counts as one of the best ski areas in the Alps and is a member of Dolomiti Superski, the biggest ski resort in the world. In the last years, Obereggen and the Latemar Ski Center were awarded numerous international prizes. They both offer state-of-the-art lift facilities and sunny slopes for winter sport athletes of every level. 48 km of slopes, night skiing and night sleigh slopes, two snow parks with half pipe facilities, three playing grounds and twelve cosy ski huts guarantee a winter blast from the end of November until Easter. As if that weren’t enough, you can visit the neighbouring ski areas of the Fiemme Valley/Obereggen and enjoy over 100 km of slopes with the same ski pass or appreciate with a Dolomiti Superskipass 1200 km of slopes immersed in the Dolomites, a UNESCO World Heritage site.